Considering that Bloomsday is imminent (16th June), I thought it might be appropriate to produce a short piece of writing on one of my favourite short stories from James Joyce’s Dubliners: “The Dead”. It is a story mesmerising in its beauty; its recreation of reality profound. It is, in the minds of many, one of the greatest works of literature, and for me at least it most certainly is. Many like to say that Joyce’s later work is the real thing, but I prefer this collection of short stories. “The Dead” is set at the Misses Morkans’ annual dance in Dublin, held around the time of the epiphany – the 6th of January – and devolves upon the spiritual epiphany of Gabriel Conroy. Initially, “The Dead” appears to be about something; a group of people at a party, time passing, death. But it is about those things in a radically different way than you are led to think all through the story. Indeed, in the final pages, the Conroys (Gabriel and his wife, Gretta) leave the party at the Misses Morkans’ and retire to their hotel late at night. It is here that “The Dead” unexpectedly becomes a story about a man and his marriage and about a woman and wife whom Gabriel has known so little. His wife’s revelation to him of her buried passion for Micheal Furey, a boy who ‘died for her sake’, produces in Gabriel a spiritual manifestation; an epiphany. Gretta’s memory of Micheal conjures up the deep romantic past of the West of Ireland. On the other hand, Gabriel occupies what is depicted as a vacuous bourgeois present; his emotions paralysed, his sexuality stultified. He is unable to connect with his wife whose beauty and mystery he struggles but desires to understand. Throughout the story, Gabriel is shown to be a man detached from his Irish roots and alienated from the cultural life of Dublin. In this way, Micheal Furey comes to represent a symbol of a vibrant passionate life which has vanished; a suggestion which Joyce reinforces when he creates a beautiful symbolic association between the snow and Micheal, who like the cold, pervades everything. By the story’s final pages the religious meaning of the epiphany has been transmuted into a secular one. While he had been full of memories of their secret life together, full of tenderness and joy and desire, she [his wife] had been comparing him in her mind with another. A shameful consciousness of his own person assailed him. He saw himself as a ludicrous figure, acting as a pennyboy for his aunts [the Misses Morkans], a nervous well-meaning sentimentalist, orating to vulgarians and idealizing his own clownish lusts, the pitiable fatuous fellow he had caught a glimpse of in the mirror. Instinctively he turned his back more to the light lest she might see the shame that burned upon his forehead. The story’s conclusion is ambiguous and the reader does not know what will happen, what Gabriel or Gretta will say or do when they wake up the next day. The final image is one of a bleak, dark and paralysed world, an image of the snow ‘general all over Ireland’. What exactly does this mean? Is it a recognition of all life leading to death? The expression of a need to live passionately rather than fade away? A metaphor evoking the paralysis of Ireland? Joyce uses many devices in his story to suggest that the mystery of life and death must remain just that. Joyce thought that it was in the givenness of the real, in time and place, that the psychological, social and moral realities would reveal themselves. The beauty of his stories certainly testify to this. There is one image in particular which I love: Gabriel’s vision of the snow ‘faintly falling’ and ‘falling faintly…upon all the living and the dead’ – the beauty of that image – is so powerful that it will hold in my memory probably forever. 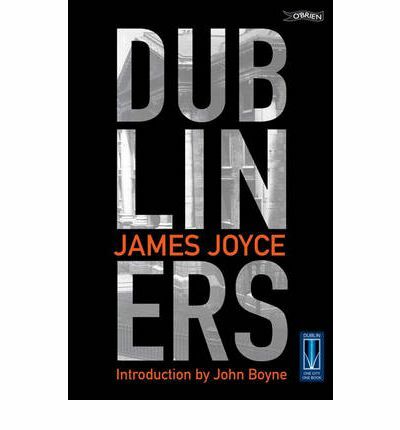 This entry was posted in Arts, Books and tagged book review, books, books you should have read by now, classic, dubliners, james joyce, literature, Review, the dead. Bookmark the permalink.